Ahmed Jarba, president of the Syrian National Coalition (SNC), said he expected the Geneva II conference to take place, adding that the United Nations-backed meeting and the formation of a transitional government may lead to the fall of the Syrian regime. In an exclusive interview with Al Arabiya’s New York Bureau Chief Talal al-Haj, Jarba said that participants of the Geneva II conference – which was scheduled to take place this month – will still convene. However, he said that he doubted it would be successful in ending the two-year Syrian conflict that has killed over 100,000 people, according to the U.N.
“I expect the meeting to take place but the question of whether it succeeds remains valid. I’m not too optimistic,” Jarba said. 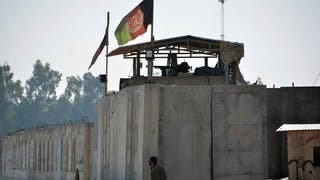 He added that the civil war may come to an end if a transitional government were formed following such a meeting. The SNC chief said his coalition – considered to be the country’s main opposition group – supported a political solution to the crisis but Syrian President Bashar al-Assad’s resignation was non-negotiable. “Seeking a political solution to the situation in Syria would mean achieving the objectives of this uprising, including the departure of Assad’s regime,” he told al-Haj. When asked if the SNC would accept a safe exit for Assad, his family and advisers, he answered that this would be very difficult to do. Meanwhile, Jarba confirmed that after taking the Syria seat in the Arab League, the SNC will go after Syria's seat at the United Nations most likely this September. “We are present on the ground… and our country is undergoing an invasion by Hezbollah and [members of the] Iranian Revolutionary Guard,” Jarba said. He however added that France and Britain were still planning on providing the Syrian rebels with weapons despite reports that the West has taken a step back from arming the opposition. Jarba hinted that a source of the arms for SNC might be a Western source, and promised that their arms situation will improve in one month. 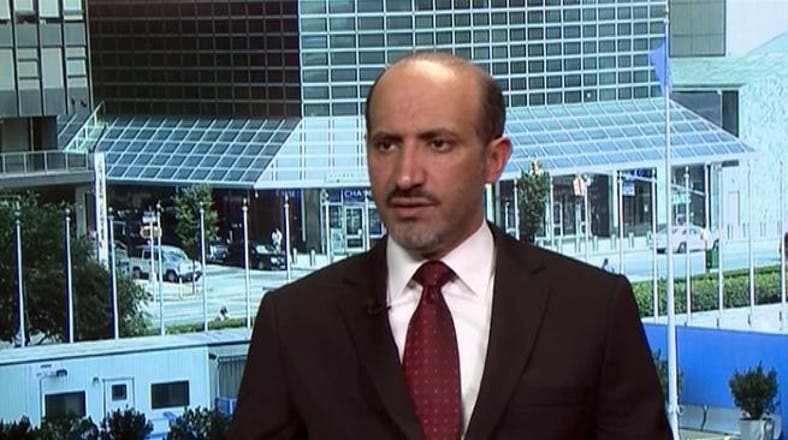 On the Kurdish front, Jarba said that he is working closely with the Kurdish opposition in Syria and that they contacted him and are likely ready to join the SNC. During the interview, Jarba openly accused the Iraqi government of being behind the latest breakout of 1500 prisoners from Abu Ghraib and Taji prisons last week. Jarba argued that these extremist prisoners will end up in Syria fighting along the regime forces against the SNC forces.